A piece of San Jose history that was stolen a few months ago has been recovered. The iconic Orchard Supply Hardware neon sign that hung above the downtown store is back under lock and key with History San Jose. 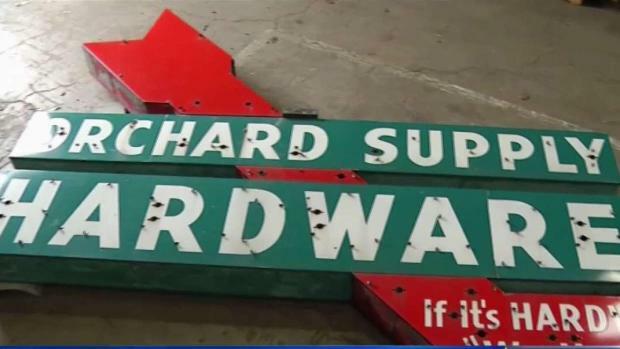 The Orchard Supply chain went out of business in August, and for the past three months, the theft of the iconic sign that had marked the downtown location since the 1950s has been a neighborhood mystery. "No one saw it happen," gas station clerk Kamryn Duque said. "We even had cops come up to see if we had surveillance for here at the gas station to see if they can have any clues of who took it." After months of detective work, San Jose police investigators located the neon OSH sign. Ken Middlebrook, the curator of collections for History San Jose, says the man who took the sign actually took good care of it. A "heavy" piece of San Jose history is now back home. 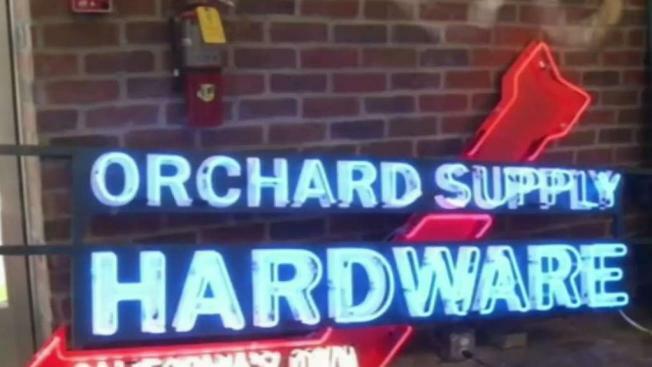 San Jose police tracked down the city's old neon Orchard Supply Hardware sign. The sign is now where it belongs at "History San Jose." Detectives had little to go on, except some fuzzy surveillance video of a white truck, hauling the sign away. Police say the man who took it was worried the sign would be destroyed when OSH announced it was closing, so he wanted to "rescue" it. No charges are being filed. "He evidently was concerned about what’s going to happen to this historic sign, so he took it upon himself, not knowing that there was already other preservation efforts toward the sign," Middlebrook said. "But he took it upon himself to remove the sign for safekeeping in his own warehouse." Middlebrook wasn't sure if charges will be pressed against the alleged culprit. The plan for History San Jose is to fully restore the sign, including all the neon that used to light it up. It will eventually be part of an outdoor exhibit at History Park.